KARACHI: Despite the efforts and claims of the incumbent Pakistan Tehreek-e-Insaaf (PTI) government, the foreign direct investment (FDI) dipped by 35.2 per cent to $880.7 million in the last five months of the current fiscal year (FY19) as compared to $1.359 billion received in the same period last year. Out of the total direct investment, the investment from China alone stood at $584 million in the last five months, according to the data released by the State Bank of Pakistan on Monday. 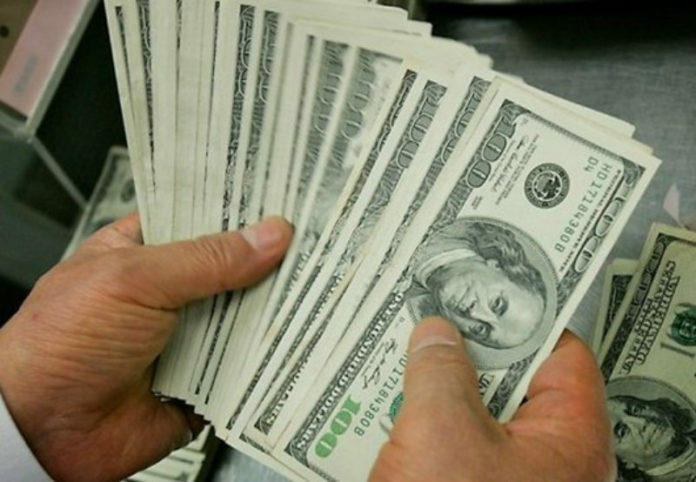 The inflow of dollars from China stood at $911 million during the same period last year. The country’s FDI dipped by 35.2pc or $478.7 million in July-November 2018-19 and stood at $880.7 million, while the country’s total investments stood at $550.1 million after a decline of 54.5 per cent as compared to the last year. In November 2018, the country received $280 million only in the head of direct investment as compared to $239.5 million in the same month of the last year. The government has received the second tranche of $1 billion financial support from Saudi Arabia, while the third tranche would be received in January 2019, the SBP sources claimed. After receiving $2 billion from Saudi Arabia, the overall situation of SBP’s reserves was now better, an analyst said, adding that China had also pledged its support for Pakistan’s economy. The International Monetary Fund (IMF) was also negotiating with the Pakistani government and it was likely that Pakistan may get a $6 billion bailout package, he claimed. “Despite all the improvements in the economy, the stock market lost over 3,000-4,000 points during the last couple of weeks. Meanwhile, the brokers recently held a meeting with Prime Minister Imran Khan and discussed their problems with him. The brokers and the investors were still waiting for the government to fulfill its promise,” the analyst claimed. The market analysts said that the federal government has raised the gas charges as well as the regulatory duty on the import of 570 products, in order to keep the country’s imports in check, which would further hamper the country’s growth. Foreign private investment of the country stood at $550 million, down by 56.3pc during July-November as compared to $1.259 billion during the same period last year. During July-November 2018-19, the SBP recorded outflows to the tune of $330.6 million in the head portfolio investment (Equity Securities), down by 230.4pc compared to last year outflows of $100.1 million. During the period under review, the SBP received an amount of $0.1 million in the head of Foreign Public Portfolio Investment (Debt Securities), increasing by 100.1pc during July-Nov this year which was at negative $49.6 million in the same period last year, the data said. Chinese companies, under the China Pakistan Economic Corridor (CPEC), invested an amount of $584 million in July-Nov 2018-19, while the United Kingdom invested $79 million and Switzerland $33.1 million in Pakistan. Major investments received by the country were from USA ($56m), Singapore ($22.3m), Italy ($19m), and Japan ($32million). Meanwhile, Norway, Kuwait, and Netherland pulled their investments back from Pakistan during the period.